At least three members of Tennessee’s Congressional delegation came out in support of President Donald Trump’s offer Saturday to end the government shutdown with a compromise on immigration. 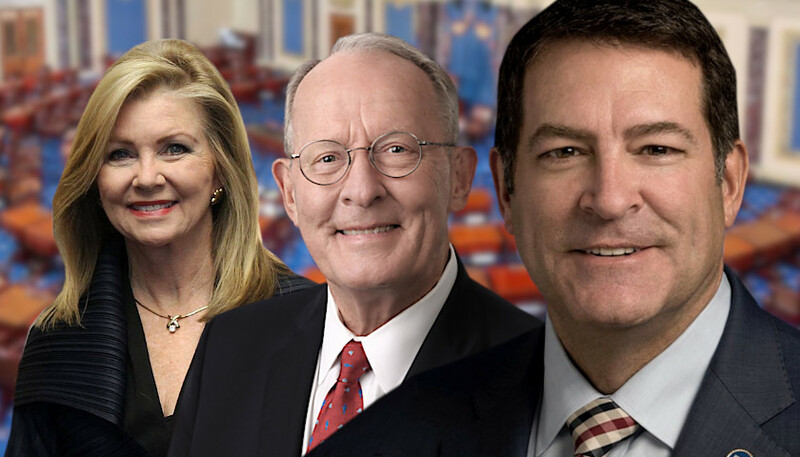 U.S. Sen. Marsha Blackburn, U.S. Sen. Lamar Alexander and U.S. Rep. Dr. Mark Green issued statements of support for Trump’s proposed compromise. The president has once again shown he is willing to work with Democrats to end this shutdown and find a compromise that will secure our border,” said Senator Blackburn. “This proposal that has bipartisan support would provide the much-needed $5.7 billion for a border barrier. Trump’s offer came on a rainy day when many Tennessee Republicans were in attendance at Gov. Bill Lee’s inauguration at War Memorial Auditorium. Those included U.S. Rep. David Kustoff (R-TN-0 , U.S. Rep. Chuck Fleischmann (R-TN-03) and U.S. Rep. John Rose (R-TN-06). Blackburn attended the inaugurationbut found time to back Trump. The president said he would support a three-year extension of protections for 700,000 immigrants who came to the country illegally as children and were protected from being deported by Deferred Action for Childhood Arrivals (DACA), Fox News said. In return, Trump asked for the $5.7 billion to build the border wall. There would also be extra protection for 300,000 recipients of the Temporary Protected Status (TPS) program. Fox News said Trump may present legislation to the Senate next week. House Speaker U.S. Rep. Nancy Pelosi (D-CA-12) said Trump’s offer was a “compilation of several previously rejected initiatives, each of which is unacceptable and in total, do not represent a good-faith effort to restore certainty to people’s lives,” according to Fox News. Last edited by GeorgiaPeach; 01-21-2019 at 11:44 PM. Disappointed to see Sen. Blackburn voicing approval of Trump's amnesty offer. GeorgiaPeach and stoptheinvaders like this. Such a shame.. after supporting Marsha Blackburn for many years, it looks like the big money has their hooks in her now she has joined the US Senate. We will have to formally drop our endorsement for her this coming week now that we know she supports Trump's Amnesty deal for millions of illegal aliens. Marsha Blackburn fought against amnesty and DACA while in the House. She said it was incentive for more illegal immigration. She flipped once she replaced Senator Bob Corker. Dr. Mark Green is a new Congress member from Tennessee How dissapointing that he, too, has chosen amnesty for illegal aliens over enforcing immigration laws and protecting the lives and jobs of American citizens. Last edited by GeorgiaPeach; 01-21-2019 at 11:12 PM. Not sure what to think, but should one "awe crap" void out all of the good she has done for years? Perhaps Trump has convinced her what he's offering is not amnesty. If so, that would make her an idiot but maybe not a real amnesty supporter. Personally, I'd wait on a little more evidence before I gave up on her, but that's just me. Just offering a little defense for her because I've liked her for a lot of years. I'm just hoping she made a one time mistake here. I'm from Tennessee. I worked hard for Blackburn. I gave her money because I thought she would fight against amnesty. Tucker Carlson on Fox said it beautifully: Loyalty works both ways. If you are loyal to a politician he owes loyalty to you also. You trust him to keep his promises. Trump and now Blackburn have betrayed the loyalty we gave to them and are making common cause with those who work against us. That is betrayal by any definition of the word. This is Marsha Blackburn's phone 202 224 3344. Call up the little broad and tell her how she betrayed us all. You don't have to be from the State of Tennessee. Amnesty affects all of us. Last edited by 17patri76; 01-21-2019 at 11:33 PM. I have really liked Marsha Blackburn, too, MW. I went back to read her past statements and to watch her videos on DACA. She has been firmly against it in the past. Whether or not her personal views have changed she is now behind the time extensions for DACA and TPS which we know is amnesty. Standing with amnesty supporting Tennessee Senator Lamar Alexander on the compromise from President Trump is surprising and I don't understand why she would cave. I will be calling her offices to question why and express disappointment. Last edited by GeorgiaPeach; 01-21-2019 at 11:42 PM. As your congressman, I passed a bill and an amendment to end DACA and stop President Obama’s executive amnesty, which also stole jobs from American citizens by giving work permits to illegal aliens. Join me today in standing with the president by signing our petition! Senator Blackburn stated when she was a Congressman that giving work permits to illegal aliens steals jobs from American citizens. That is still true today. Last edited by GeorgiaPeach; 01-21-2019 at 11:52 PM. I have seen this "Trump's America First agenda" used too many times. They think they can call dog poop a piece of candy and we won't know the difference. This is not "America First" and conservative news sites must stop using that term. Of all news outlets, this is Breibart using their deceptive terms to soften people. Also, it now seems to be more important to work with democrats ( fulfill the D's dreams), than any other issue facing our nation. Let the invaders invade, we need to work with the democrats.